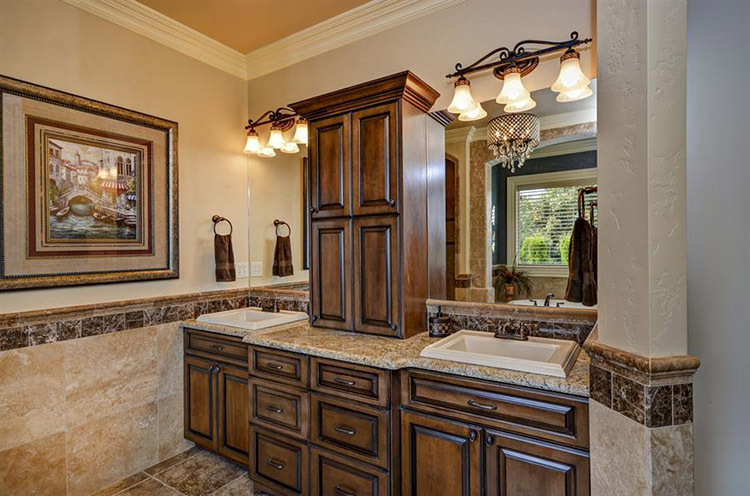 Luxury bathroom designs are not only beautiful, but also functional and practical. Explore this sophisticated world by browsing through our collection of photos of 48 classic luxury bathrooms. 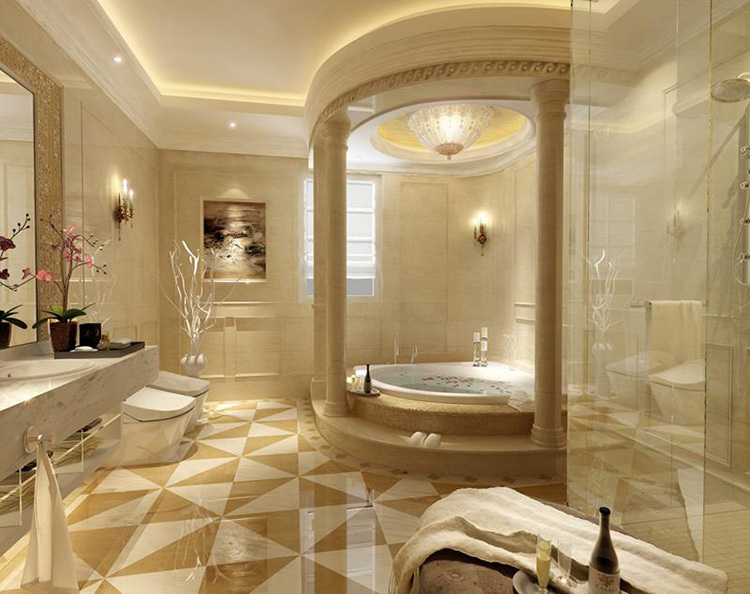 Luxury bathroom designs must be both functional and elegant. In this example, cream and white create an airy and bright ambience, while the Jacuzzi encapsulated in the corner delimited by some classical columns not only gives a touch of sophisticated elegance to the whole composition, but also provides a comfortable place where to relax and mediate. In this example of luxury bathroom designs, tiny tiles are skilfully exploited as ornamental motif that runs all around the bathroom and creates a bright and warm atmosphere. Notice the smart layout that is able to collocate in a small place, which looks much wider thanks to the huge mirror on the right, one big shower box, the large Jacuzzi and the spacious cabinet with oval washbasin on top. The smart utilization of wood, tiny golden tiles and ethnic motifs in the decorations on the furniture create dreamy ambience luxury bathroom designs. Here, the original bathtub with cylindrical shape placed at the corner on the left reminds you of exotic lands and pleasures, while the spacious shower box on the right is both practical and comfortable. 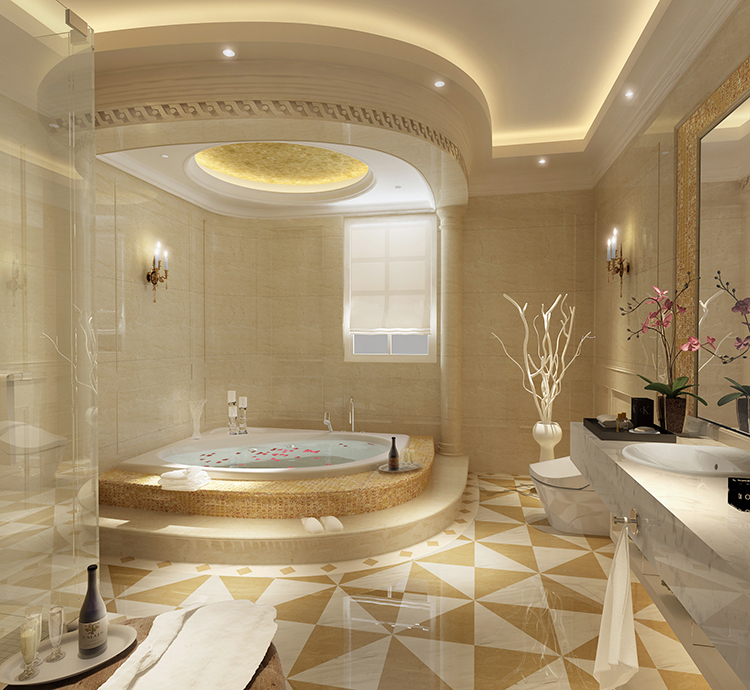 Elegance is the mantra of this luxury bathroom design. Finely decorated countertops in white marble, cream cabinets, top-quality fittings and a classical bathtub with a huge practical mirror behind make this bathroom comfortable and glamorous. Notice the nice and practical toilette corner on the foreground on the left. 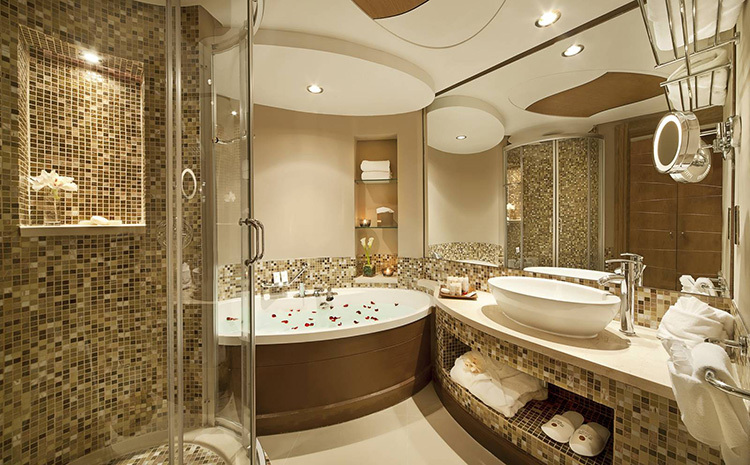 Probably the best example of our luxury bathroom designs. Practical and luxurious, marble is compulsory in luxury bathroom designs that deserve their names. This bathroom is clear example of how true is this assumption. 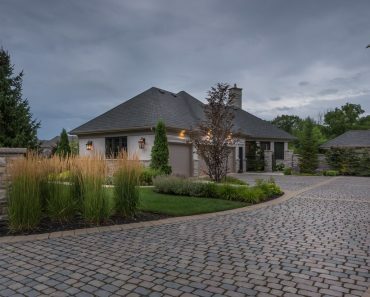 Notice the massive utilization of large marble tiles and marble countertops. Finally, the richly and finely decorated wall glass panel behind the water closet adds to this bathroom a touch of superior elegance. Large wall mirrors are often utilized to make bathrooms look roomier in luxury bathroom designs, as in the above example. Notice the fine, spacious counter with white marble top and two drop-in washbasins, and the comfortable cylindrical shower box. On the corner, the inevitable Jacuzzi. The water closet has been placed in a dedicated small room in order to avoid bad smells in the toilet area. The smart utilization of mosaics and floral wall decorations reminds the architecture of Roman baths in this nice example of luxury bathroom designs. The spacious shower cabinet is built in a dedicated small room, while the two freestanding washbasins on the right and the bathtub provide you with all the necessary comfort. 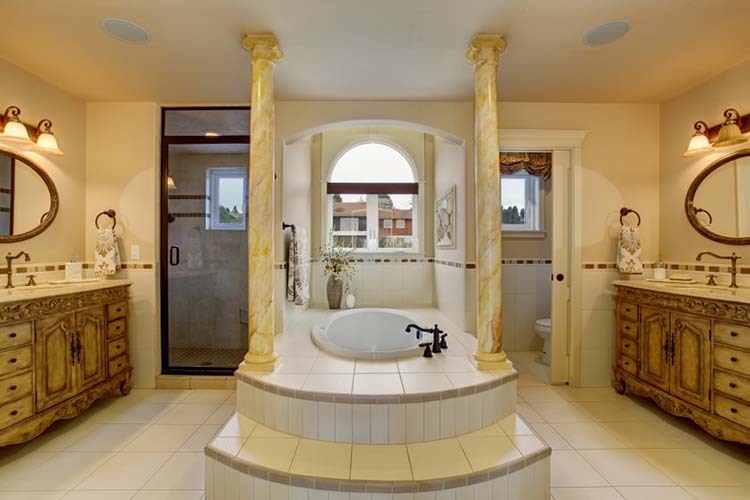 Luxury rhymes with classical Roman and Greek architecture, as it is clearly shown in the posh design of this circular Jacuzzi with top-quality fittings and wall decorated with fine, classical motifs. Notice the combined space that merges living room and toilet room in one, a solution that is not uncommon in some luxury bathroom designs. 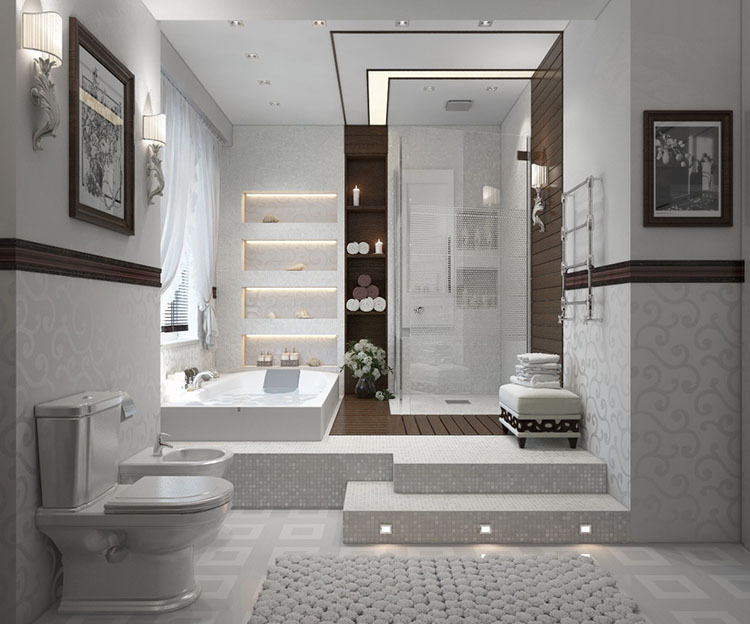 The water closet is conveniently placed in a dedicated small room in order to avoid the diffusion of bad smells, while the placement of the Jacuzzi in the middle of the room provides an unusual focal point to this luxury bathroom design. Finally, the classical columns in alabaster and the two finely decorated and inlaid dressing tables add an additional touch of sophisticated elegance. 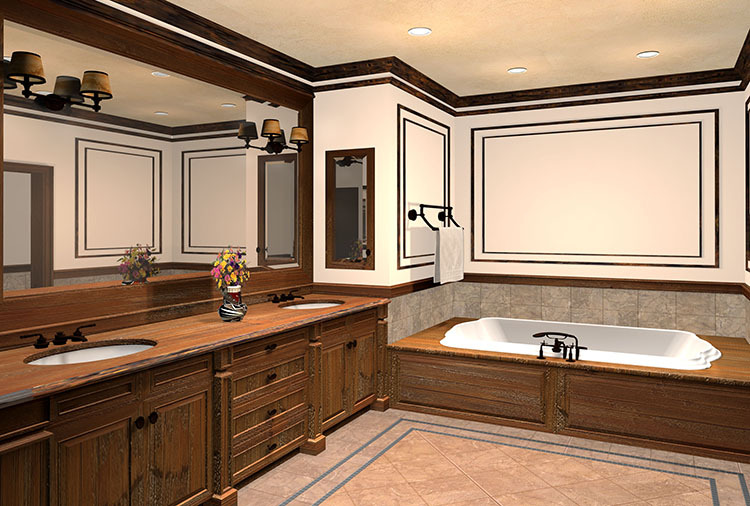 The utilization of dark walnut wood for the furniture and dark brown floral decorations creates a warm and welcoming ambience in this example of luxury bathroom designs. The wooden dressing table with built-in large mirror provides a spacious and comfortable toilet area, while a classical style bathtub in white ceramics is placed near the window. 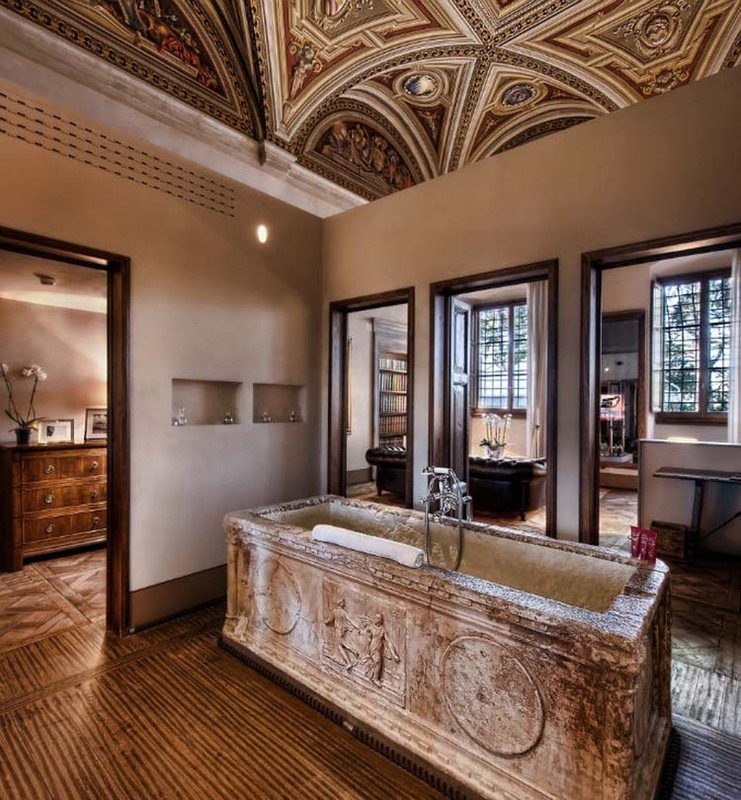 The utilization of grey stone gives an unusual charm to this bath strategically placed in the middle of the room in order to attract guests’ attention, as if we were in an exhibition of some archaeology museum. The decorations on the wall of the bath remind the late period of the Roman art. Taps are naturally top-quality and classically designed. 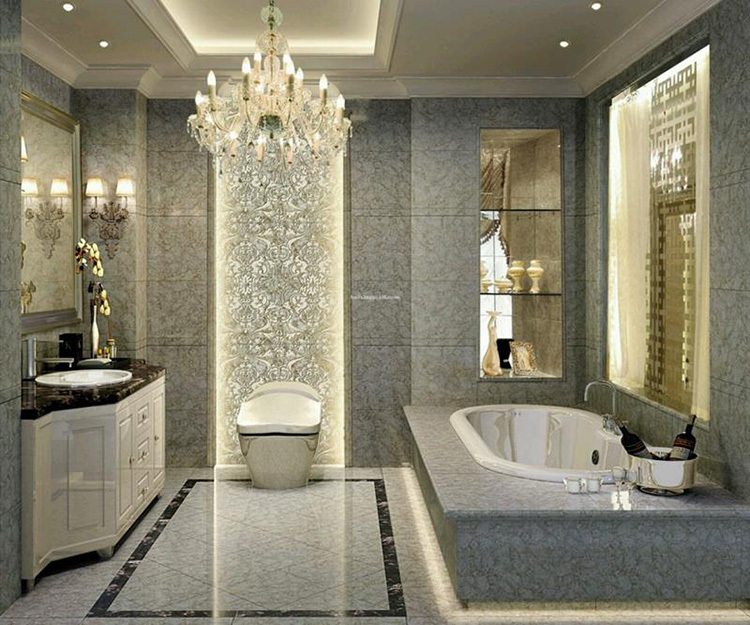 One of the poshest examples of luxury bathroom designs in our list. Cream, dark brown, turquoise and slate grey create an effect of sophisticated yet warm elegance in this example of luxury bathroom designs. 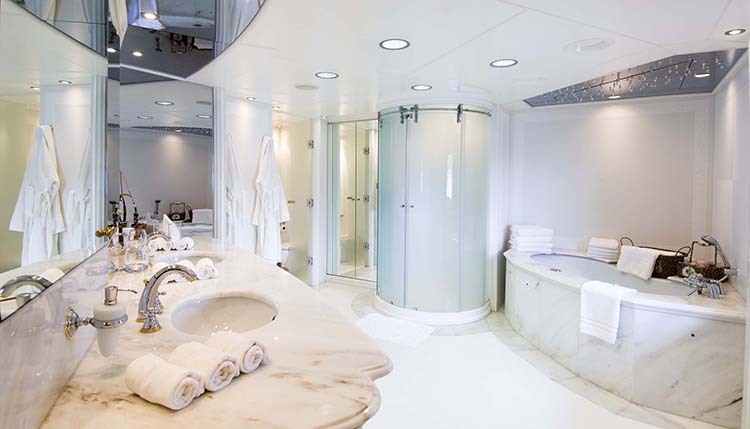 Notice the spacious elliptical Jacuzzi with practical counter on the side where to put towels, and the semi-circular cabinets in refined wood with two large and comfortable drop-in washbasins. 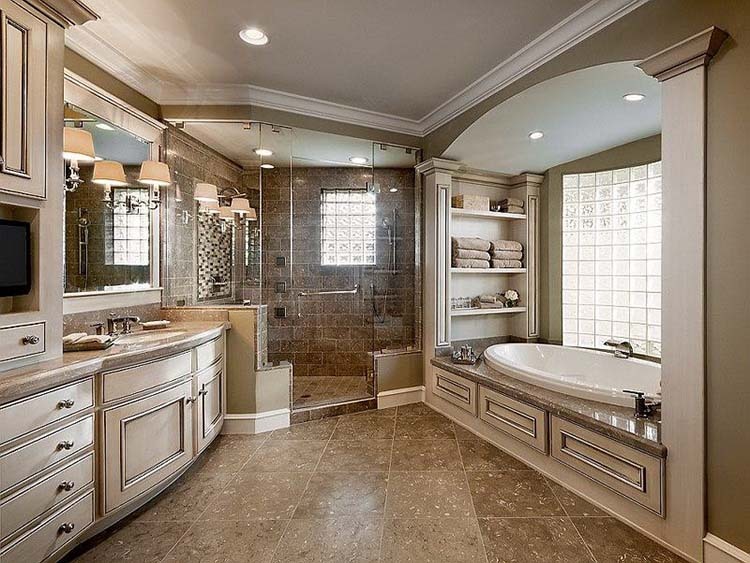 Space is masterfully arranged in this luxury bathroom design. The bathtub is encapsulated in the opening near the window, and some comfortable shelves for towels are placed on the wall right on its left side. The shower cabinet is spacious and decisively practical. Additional comfort is provided by the dressing table with drop-in washbasin and huge mirror. The massive utilization of large marble square tiles on both the floor and the walls creates an airy, glamorous ambience in this example of luxury bathroom designs. Notice the sophisticated wall decorations with floral motifs and the posh golden frames of the two elliptical mirrors above the elegant dressing table with mirrored panels. The spacious Jacuzzi and the wide shower box provide all the necessary comfort, while some walnut wooden cabinets ensure an elegant and practical storage area in the ethnic style design of this luxury bathroom. The walls are fully covered with tiny tiles that both give protection from splashes and constitute an ornamental motif. Marble and glass are massively utilized in order to create a bright and airy atmosphere in the design of this luxury bathroom. The richly decorated wall-high glass panel set right behind the water closet gives a touch of extraordinary elegance to the composition. The classical style dressing table is small, but practical. 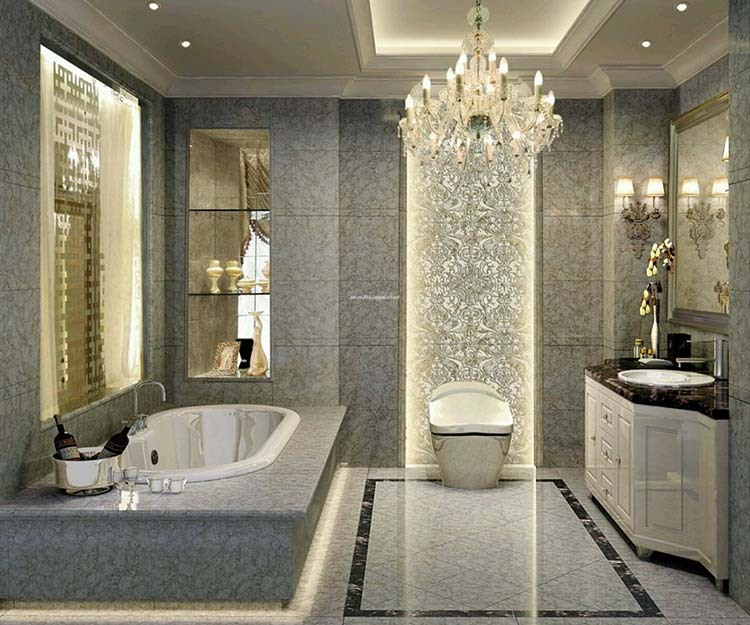 One of the best examples of luxury bathroom designs in our list. 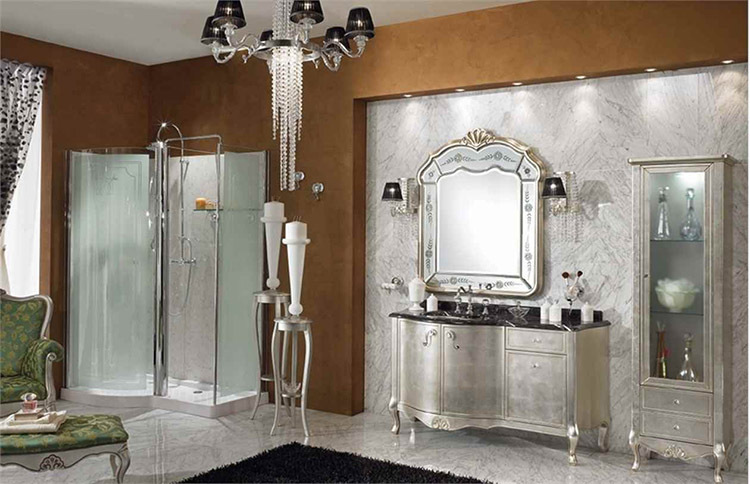 Here comes a great example of luxury bathroom designs, where all tricks – like white and cream colours, tiles and tops in polished marble, decorations made with glimmering tiny tiles, ornamental vases and wide mirrors – are massively used in order to create an environment that is both practical and beautiful. 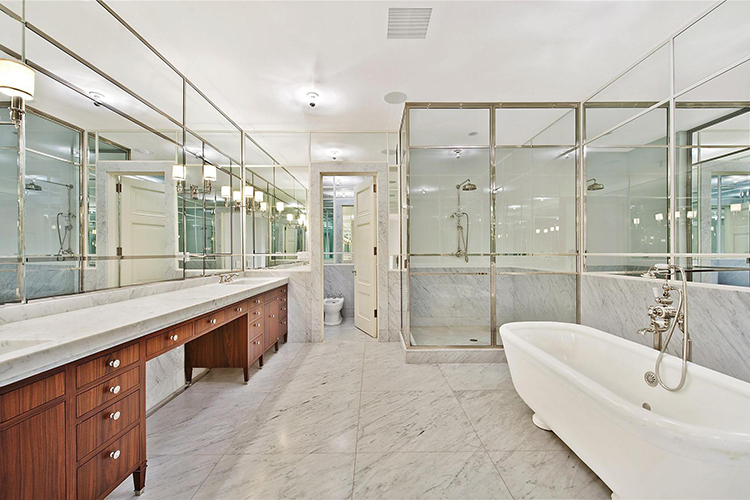 The massive utilization of mirror panels generates a sense of spatiality in this luxury bathroom. The large white marble tiles make the room look brighter and cleaner, while the long, spacious counter with drop-in washbasin provides a comfortable dressing table. 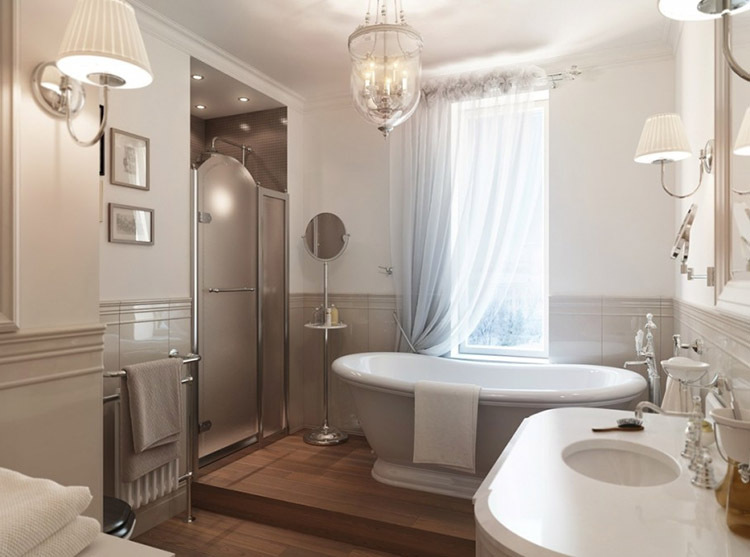 A huge shower box and a classical style bathtub provide a nice wash area, while the water closet has been opportunely placed in a dedicated small room. 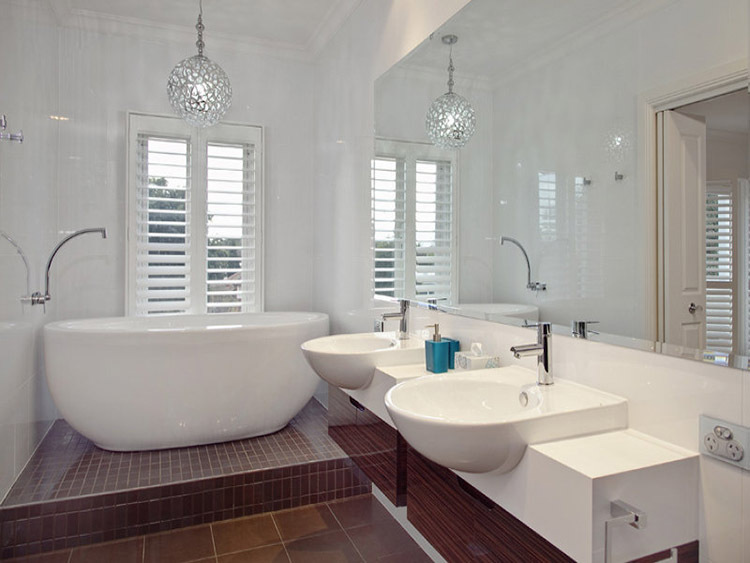 A linear simplicity is the main feature of this modern example of luxury bathroom designs. Notice the elegant yet simple bathtub strategically placed right in the middle of the room. The utilization of large white marble tiles on both the walls and the floor makes the room look brighter and roomier. 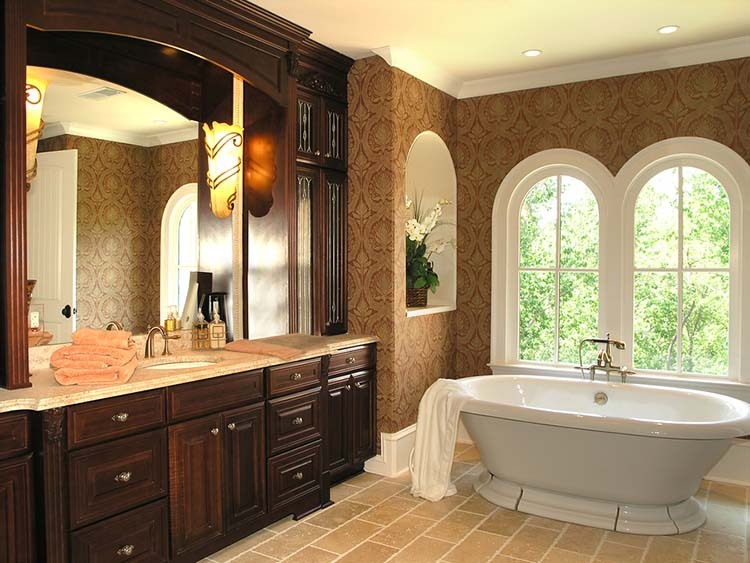 Classically styled and highly functional, this luxury bathroom is a typical example of nice design. The comfortable bathtub is built in a large wooden cabinet, while a spacious wooden dressing table with huge wall mirror provides a comfortable and practical area for your toilet. Cream, white and gold create an atmosphere of supreme elegance and sophistication in this great example of luxury bathroom designs. The large classical style dressing table is both beautiful and practical, while the Jacuzzi is encapsulated in the opening near the window. 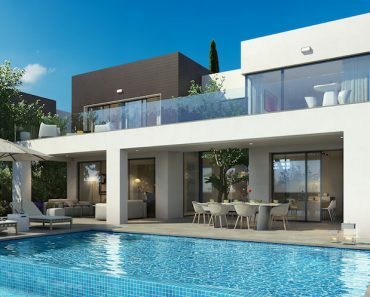 Taps are of high quality, and the layout leaves a lot of free space in order to increase the sense of spatiality. The modern shapes and straight lines of furniture combined with the skilful distribution of volumes make this luxury bathroom airy and bright. White is dominant, but the few dark walnut areas create a pleasant contrast. The wash area, which is equipped with bathtub and shower box, is smartly separated by the water closet by a nice small step. 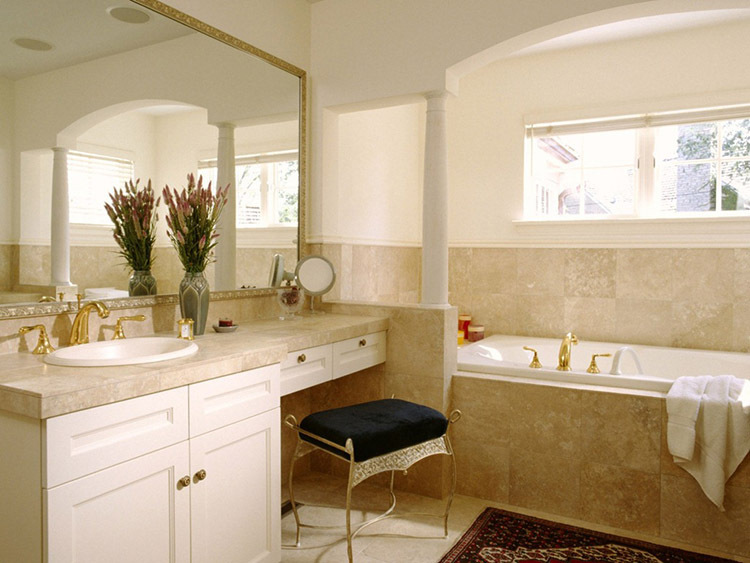 Here comes an example of luxury bathroom design that is clearly inspired by tradition. Notice the small but fine Luis XIV style dressing table, the wall mirrors with richly decorated and inlaid frames, and the position of the bathtub below a canopy. The golden colour of fittings pairs very well with the white of the furniture. In this example of luxury bathroom design, the wash area is set in the large opening near the window on a split-level in order to optimize space and create a pleasant visual effect. The big shower box made with glass panels is both spacious and elegant, while the Jacuzzi and its wide surrounding cabinet provide a small corner for relaxation. The utilization of a palette with light brown and walnut creates a cosy and warm atmosphere that is perfect for relaxation in this modern luxury bathroom design. Notice the fine ethnic decorations of the large frame of the wall mirror above the small dressing table with drop-in washbasin. A comfortable shower box that is also mini sauna features the design of this luxury bathroom. A large and spacious dressing table with two drop-in washbasins and capacious cabinets provides you with all the comfort that you need, while the Jacuzzi on the left completes the wash area equipment. Some elements taken from the Far East design create a bright and relaxing ambience in this luxury bathroom. The dressing table with incorporated mirror shows a simple elegance in its linearity, and the bathtub design is minimalist but effective. The shower has been placed in the dedicated small room over the glass panel door in the background. 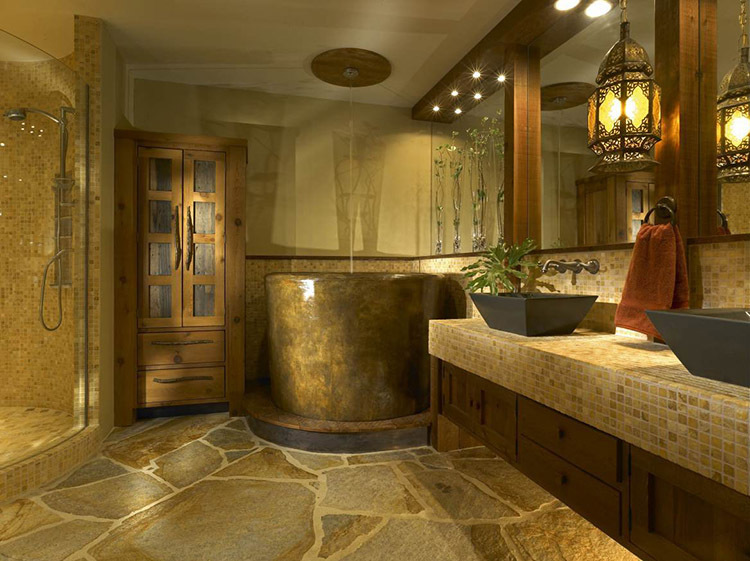 This is an example of ethnic inspired design of a luxury bathroom. The walls tiled with tiny golden tiles, the two huge wall mirrors, the light brown marble floor and the walnut wooden cabinets are skilfully combined in a way to create a sophisticated yet warm and welcoming ambience, where staying is pure pleasure. 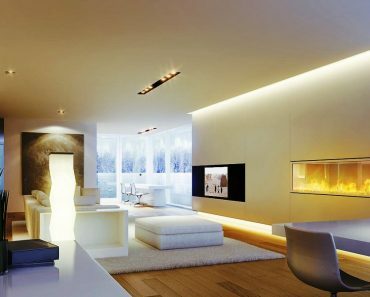 In this luxurious combined space the living room and the bathroom are merged in one. The wash area is composed of a comfortable shower box placed at the left corner. A dressing table with its mirror stands right in front of the living area, while the water closet has been set in a dedicated room. 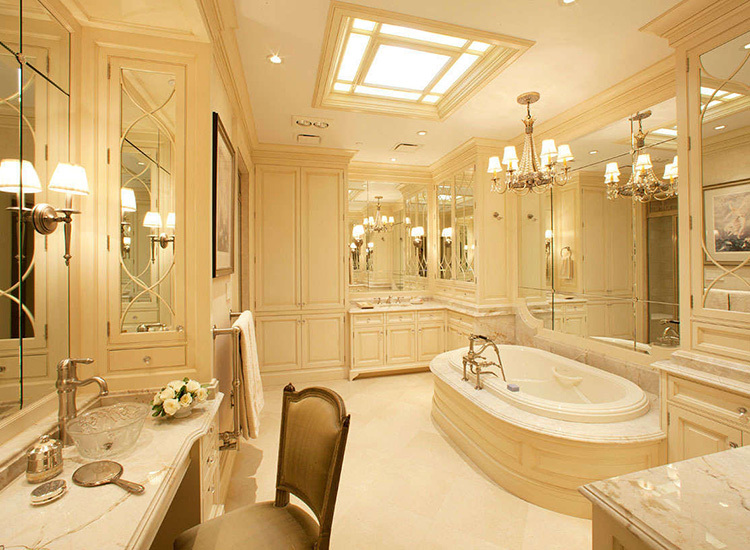 One of our best examples of luxury bathroom designs. In this design, the palette based on white and grey creates a classical, stylish luxury bathroom. The shower box and the bathtub covered with white ceramics have been smartly set on a split-level, while a comfortable dressing table with drop-in washbasin and wall mirror stands immediately on the right. Notice the fine decorations of the taps. 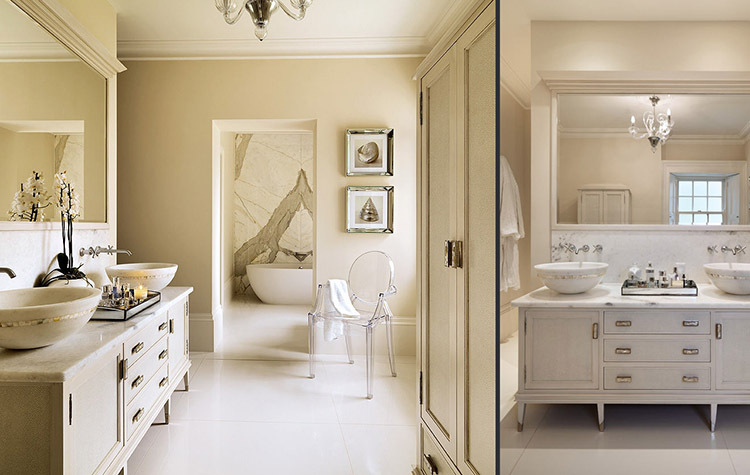 Another example of classic luxury bathroom designs with palette based on white and cream. A huge shower box with glass panel door stands on the right, while a spacious dressing table with big wall mirror and drop-in washbasin stands opposite the shower box. Finally, a comfortable Jacuzzi is placed near the window. 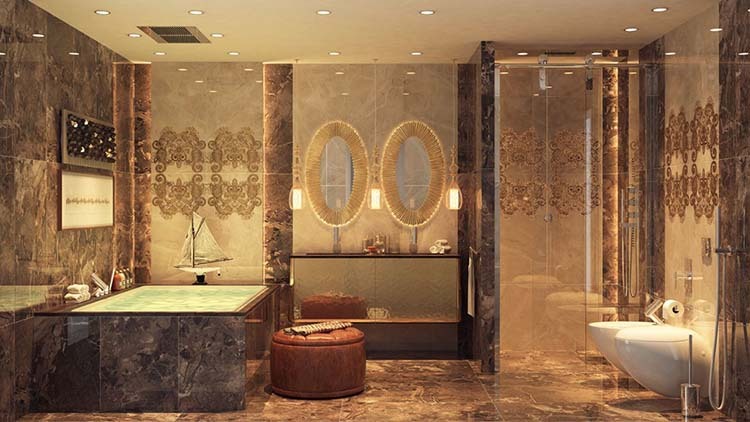 In this nice example of luxury bathroom designs, a bright and stylish ambience is created simply by utilizing golden tiny tiles that cover both the walls and the floor. A spacious dressing table with marble top, drop-in washbasin and wide wall mirror makes your daily toilette comfortable, while the wash area is equipped with a huge shower box and a white bathtub of superb design. 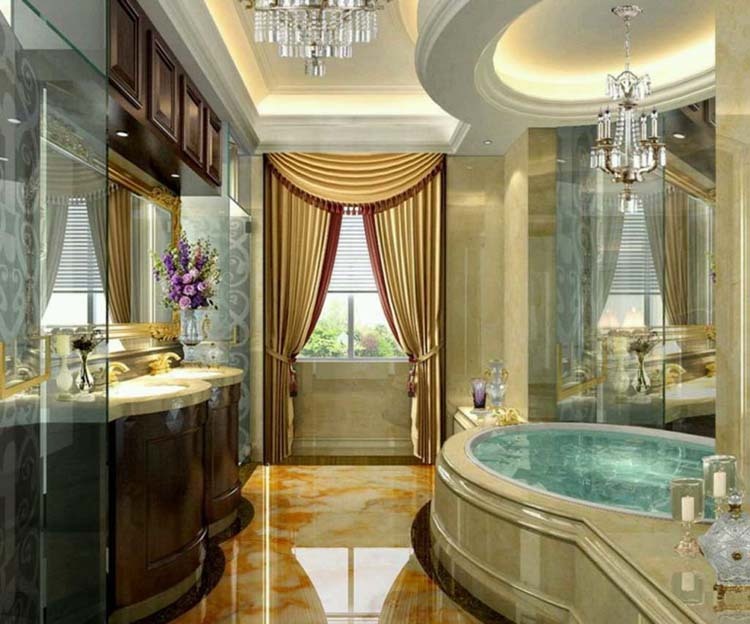 The utilization of golden fittings, polished marble tiles and ornamental elements like arches and columns gives an impression of opulent luxury in this bathroom design. 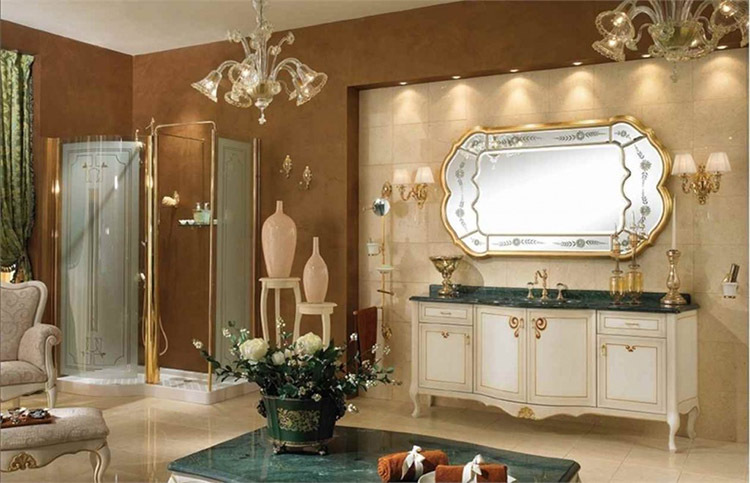 The elegant dressing table with wooden cabinets, top in marble, drop-in washbasin and practical huge wall mirror is really a nice, small corner of peace and beauty. 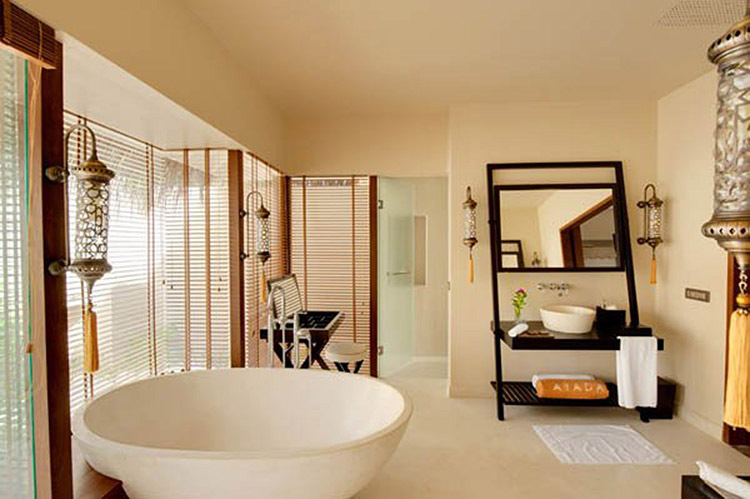 This smart design for luxury bathrooms has its focal point on the large built-in bathtub near the window. The spacious dressing table with huge vanity mirror and drop-in washbasin on the right is very practical, while the second dressing table on the left adds additional comforts. 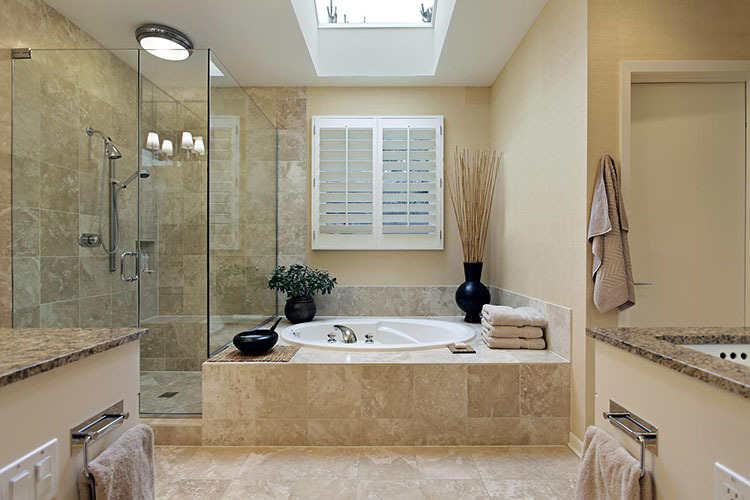 The layout of this design for luxury bathrooms is centred on the huge window that makes the room bright and airy. 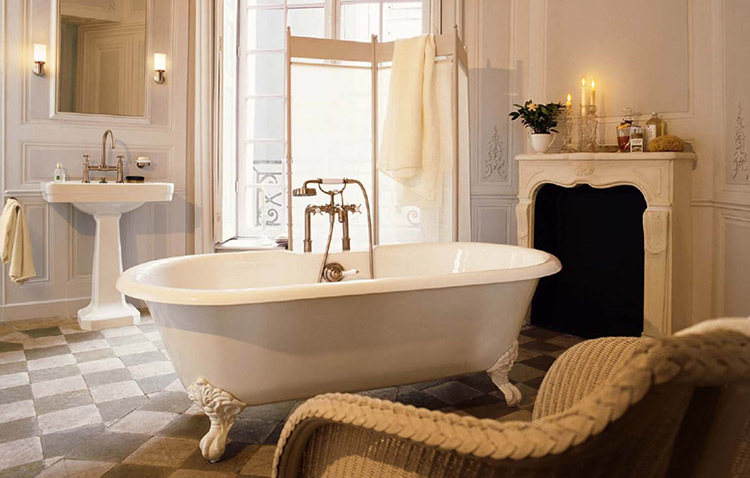 The classical style freestanding bathtub has been set in an opening with its walls nicely decorated with golden tiny tiles. Notice the beautiful vanity mirror right above the spacious dressing table with cabinets and drop-in washbasin on the left. The utilization of an unusual palette of colours based on silver and brown creates an original yet posh effect in this example of luxury bathroom designs that is placed in a combined space. On the left, we see a portion of the living area, where an elegant armchair stands; in the foreground, the classy Luis XIV style dressing table with its vanity mirror. 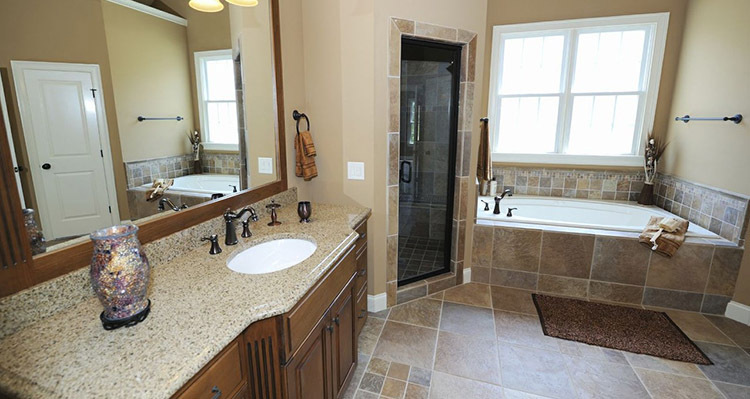 The design for luxury bathrooms shown above is an example of combined space. Some armchairs and the fireplace create a cosy living area, while the freestanding bathtub placed just in the middle of the room and the freestanding washbasin with wall vanity mirror above provide a simple but practical wash area. A very original example among luxury bathroom designs that reminds a baptistery or a church because of the octagonal layout of the room. In the middle stands the built-in bathtub, while along the wall they set two spacious and comfortable dressing tables fully equipped with very huge vanity mirrors and cabinets. A steam sauna is arranged in the small room placed on the left corner of this luxury bathroom, while a huge dressing table with drop-in washbasin, cabinets and wide wall vanity mirror provide a comfortable place where to do one’s toilette. A round Jacuzzi placed in the corner near the window adds additional comfort to this beautiful and functional design. Small but practical, this luxury bathroom is furnished only with one freestanding sink complete of its wall vanity mirror, one spacious Jacuzzi and one large towel rail. Notice the pleasant visual effect created by the alternation of portions of wall decorated with tiny golden tiles and portions of wall that are covered with large white marble tiles. 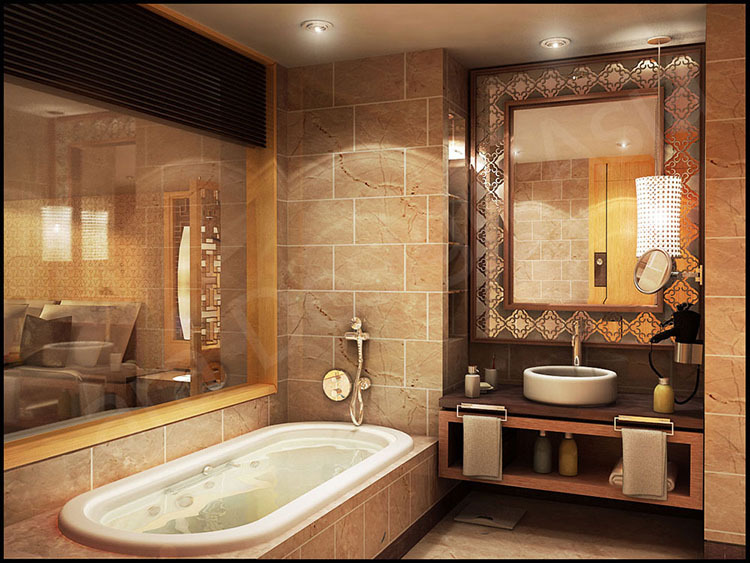 Classically styled and very well-arranged, this luxury bathroom provides you with the best in terms of comfort. Take a bath and relax in the nice bathtub, or utilize the practical shower box if you are in a hurry. Do your toilette standing in front of the huge vanity mirror above the wide dressing table fully equipped with cabinets and drop-in washbasin. 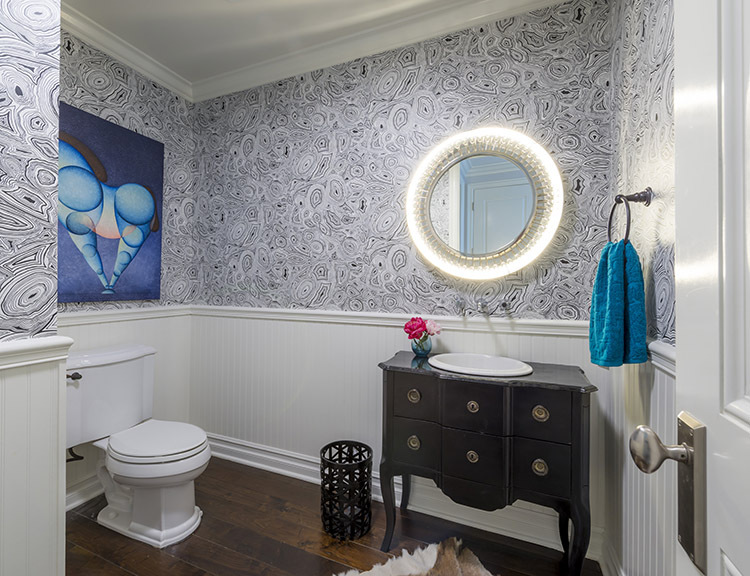 Small and practical, this bathroom is furnished simply with one nice oval vanity mirror, one small cabinet with drop-in washbasin, one basket bin and, naturally, the water closet. Notice the huge modern decoration with abstract motifs running all along the wall. The walnut wooden dressing table fully equipped with cabinets, two vanity mirrors, two drop-in washbasins and marble countertop provides a very comfortable place for one’s toilette in this example of luxury bathroom designs. Notice the nice wall decorations made of marble tiles that increases the sense of opulence and richness. A really interesting design idea is shown in the above example. The wide luxury bathroom that we see in the photo is actually composed of several rooms, each of which has a specific function. In the foreground, there is a spacious dressing room equipped with large dressing table, washbasins and vanity mirrors. In the background we distinguish another room where the bathtub has been placed. 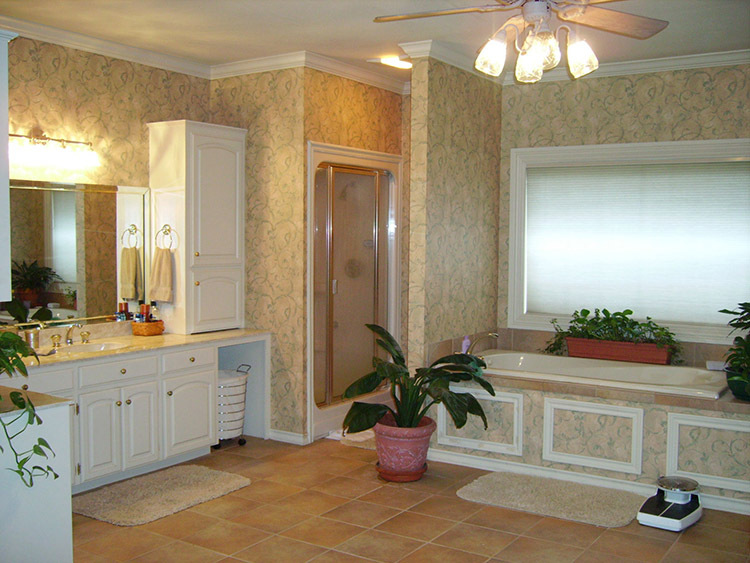 The photo shows an example of a very bare design for luxury bathrooms. Furniture is absent or very poor, the only decorative element is represented by the contrast between the white area and the tiled one. In the foreground, ironically stands the big freestanding bathtub with its posh silver decorations. Small, luxurious and comfortable are the tree adjectives that describe this luxury bathroom design which is very suitable for flats and studios. Do your toilette standing in front of the practical dressing table that is fully equipped with huge vanity mirror, two cabinets and two drop-in washbasins. For relaxation, utilize the fine designed bathtub placed on the split-level. 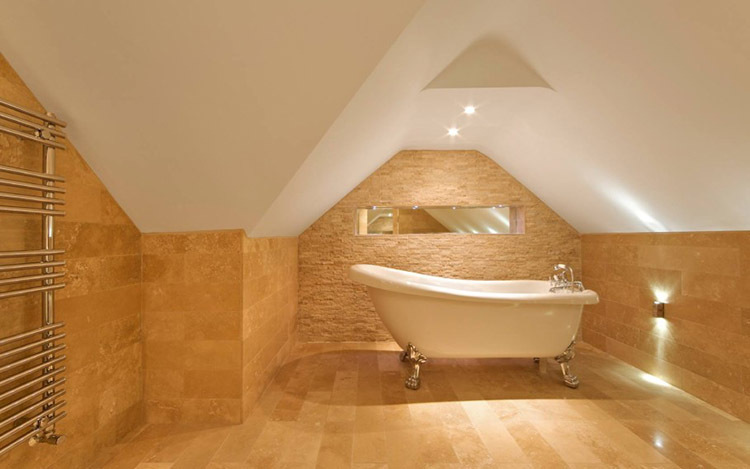 A really great example of our luxury bathroom designs. All that is necessary for your comfort is present, from a huge built-in Jacuzzi to a spacious dressing table that is fully equipped with two vanity mirrors, two drop-in washbasins and several cabinets. 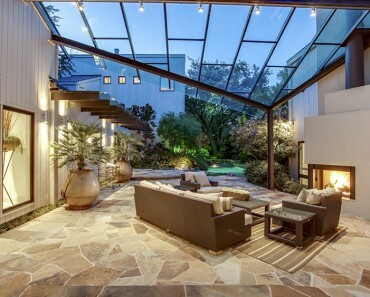 Space is masterfully arranged in a layout that has the large window in the corner as its focal point.